This is Pierre Paillot, a sommelier and restaurant director. 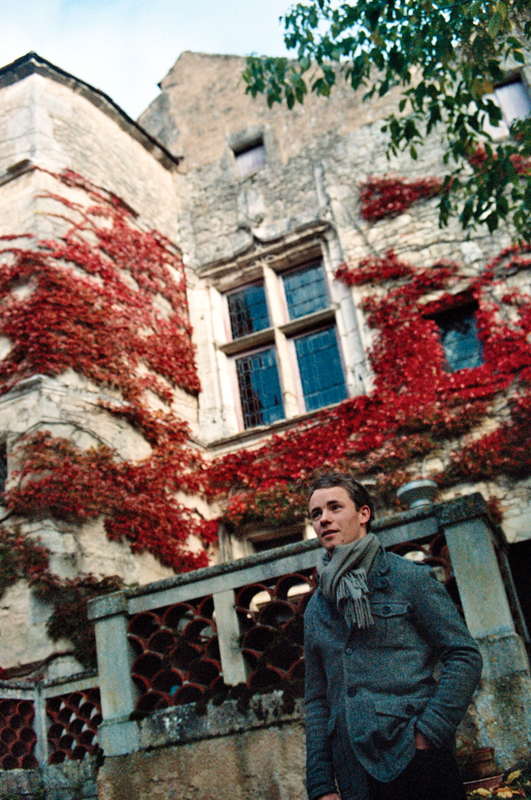 He lives in a medieval village called Noyers-sur-Serein in the Burgundy region of France. He was raised here and left in his early twenties to work with restaurants abroad, including Mint in Dublin and Gordon Ramsay's Royal Hospital Road. After expanding his winery address book, he took off, bought a van, and visited every wine producer that interested him around Europe for a year and half. He just bought a house in his village, is growing his own grapes on land purchased nearby, and will hopefully host many meals in the years to come. An accomplished young man who knows how to pour a perfect glass.